Sweating one minute and freezing the next is only fun when youre jumping from a hot tub into the snow and backnot while youre skiing. 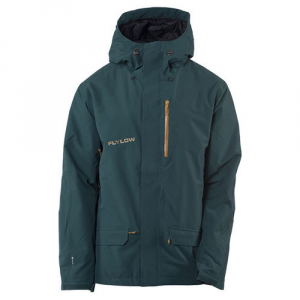 If the words ski season make you think about moving uphill as much as downhill, the Skyward Jacket speaks your language. Air-permeable AscentShell technology keeps you cool and dry while skinning up, and keeps the speed-generated windchill out after you peel off your skins and drop in for the descent. 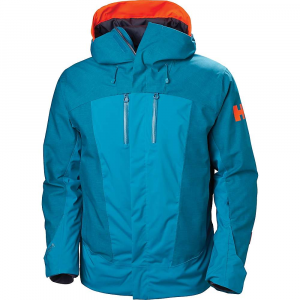 When it's your turn to set the skintrack, zip up the Outdoor Research Men's Skyward Jacket, and set that skinner steep. 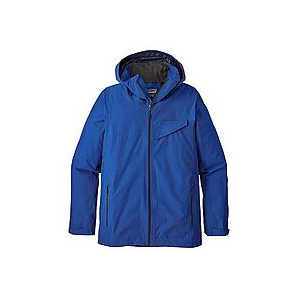 This air-permeable shell is one of Outdoor Research's most breathable jackets, so don't expect to sweat too much when you're backcountry touring, and it's still reliably waterproof so you won't get wet when you're skiing through the fluffy stuff. 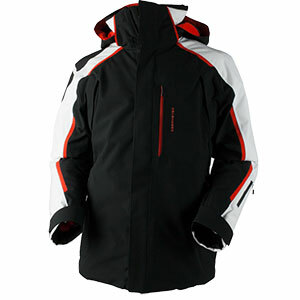 The jacket's stretchy fabrication moves with you from the first awkward switchback to the final turn of the day. The Skyward also features long zippers that run from hem to bicep to allow plenty of ventilated airflow in case you start working up a sweat setting that steep skinner. 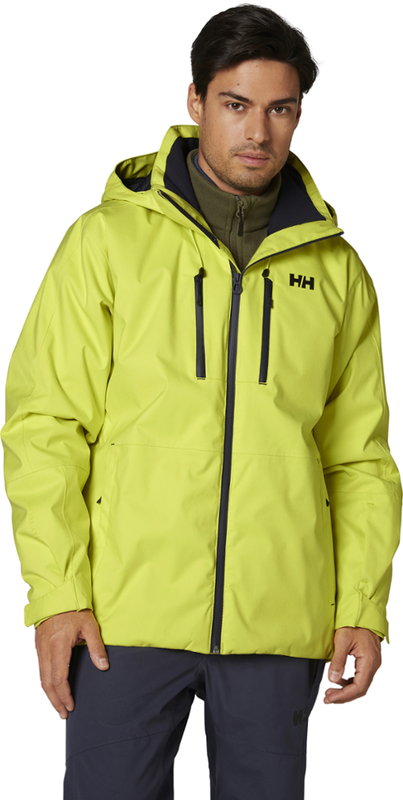 The hood is helmet-compatible, because you shouldn't ski without a helmet, and there's a wire brim that stays out of sight when you're gripped in rocky couloirs. There are a plethora of pockets designed specifically for warming frozen skins, protecting smartphones, and storing other valuables. 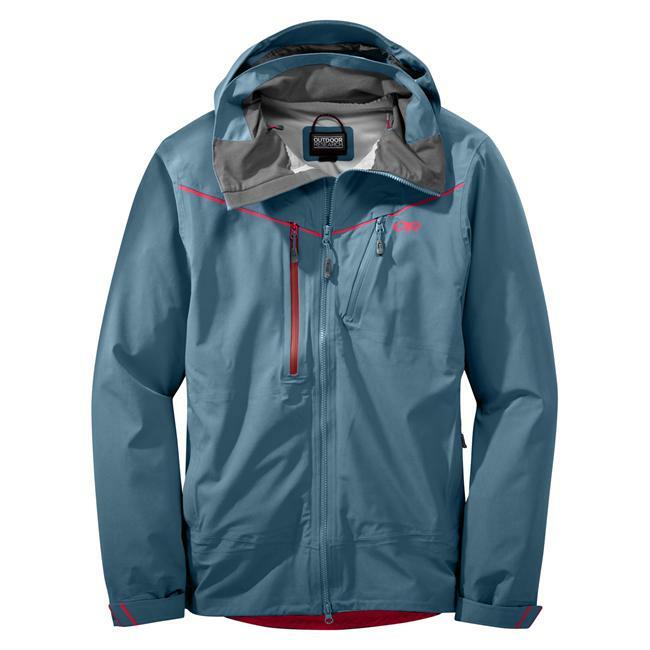 If the words a oeski seasona x9D make you think about moving uphill as much as downhill, the Skyward Jacket speaks your language. Air-permeable AscentShell technology keeps you cool and dry while skinning up, and keeps the speed-generated wind chill out after you peel off your skins and drop in for the descent. . A . . . . 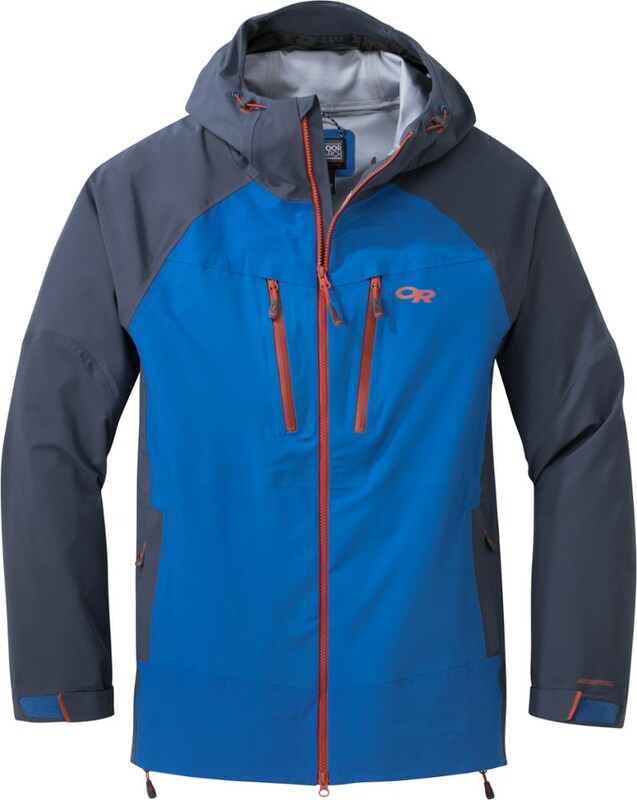 This product will be shipped directly from Outdoor Research and will leave their warehouse in 2-3 business days.A Eligible for UPS ground shipping only. . A . . . . . . Waterproof, Breathable, Fully Seam-Taped, Movement-Mirroring Stretch. . Helmet Compatible Wire-Brimmed Halo-Hood, Stand-Up Collar, TorsoFloa" Venting - Hem-To-Bicep, Two Internal Shove-Ita" Pockets, Dual-Sized Chest Pockets, Zip Hand Pockets, Internal Media Pocket, Internal Front Stormflap. . Double-Separating Center Front Zipper, Pocket Placement Above Harness or Pack Belt, Articulated Elbows, Thumb Drivea" Hook/Loop Cuff Closures, Elastic Cuffs, Elastic Drawcord Hem. . StandardA Fit. . AscentShella" 3L, 84% nylon 16% spandex 70D stretch plain weave face with 100% polyester 30D knit backer. . Center Back Length: 31a x9D / 79 cm. . 26.0oz / 735g (L). .
Waterproof and breathable, the Outdoor Research Skyward jacket has hem-to-bicep venting that keeps you cool and dry so you can work up a sweat on the uphill, without freezing on the downhill.